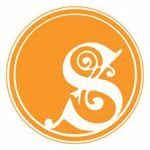 Celebrating 10 Years as Pastor and People | H.B. Charles Jr. This is no dig at Jacksonville or the church I serve. It is an honest statement about how my pastoral transition to Jacksonville took place in 2008. I was born and raised in Los Angeles. In a real sense, I was born and raised in a local church there. My father pastored the congregation for 40 years. More than a year after his death, I was selected to be the new pastor. I was a 17-year-old high school senior. I served that congregation for 18 years. And we began 2008 with a clear mission, answered prayers, and great expectations. In the Spring of 2008, I was invited to preach at a vacant church in Jacksonville. The chairman made it clear that I was not a candidate for the church. I was not old enough. I did not have enough formal training. And I did not currently pastor a large enough congregation. I didn’t take it personally. It wasn’t personal. The chairman was simply being honest with me, which is sometimes missing in pastoral search committees. Having mutually agreed that I would not be a part of their search process, we agreed on a date for me to preach – Memorial Day weekend. No big deal. “Have sermon, will travel,” is my motto. Two months later, the church called me to be its new pastor. Shiloh Metropolitan Baptist Church was a large, prominent, and historic congregation. But it was going through a storm. The leaders fully explained the gravity of the situation to me. Their candor should have won my trust. Instead, it only made me run in the opposite direction faster! To accept the call to pastor the church felt like a suicide mission. But God had other plans. When I arrived in Jacksonville, I was asked what my vision was for the church. I punted every time. But I did have a vivid forecast of the church’s future. I thought I was being sent to Jacksonville to officiate the funeral of a congregation. If things ran their course, I did not expect the church to be in existence in the next three years. If it somehow survived the next three years, I fully expected they would put me out. I was wrong. Praise the Lord, I was wrong! 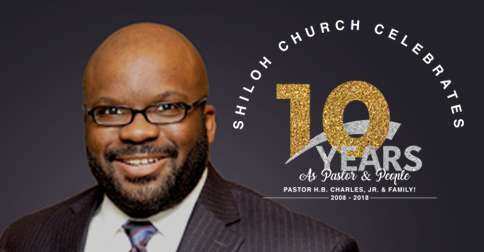 10 years later, the Shiloh Church is alive and well. And these have been the most fruitful years of my ministry. Well, the last five or so years have been. My first years in Jacksonville were turbulent. But at some point, we reached our cruising altitude, and the Lord has smiled on our journey together thus far. I am theologically conservative and do not throw words around loosely. But when I am asked to describe the last ten years, I instinctively say, “It’s a miracle!” I really don’t know how else to explain how the Lord brought this church through a national scandal and gave it a new reputation in our community and beyond. It is a joy, blessing, and privilege to serve the Shiloh Church. We are grateful for all the Lord has done. And our dreams are greater than our memories. I love my church!